Surveillance cameras are the electronic eyes used to provide visual oversight and supervision to areas of your property that cannot be easily viewed. This difficulty to have quick access to a field of view is sometimes because of the remote locations or perhaps limited staff resources. In any case, the Suveillance camera system and associated recorders and Alarms have been a truly wonderful addition to the useful methods of controlling your properties organization and safety. It should be noted that Surveillance has a different meaning when used for machine or mechanical device supervision. Industrial inspection and monitoring of machinery or research experiments has been truly revolutionized by special custom camera surveillance. 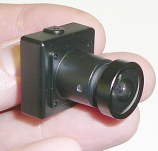 Micro Video Products has helped with the design and implementation of many thousands of such applications.